The spookiest day of the year is fast approaching, when the dead will rise from their graves and consume vast quantities of sugary treats. 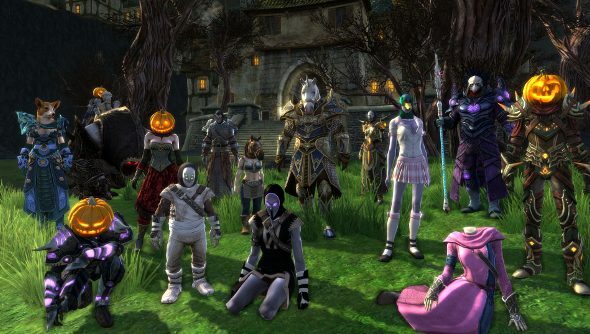 Trion Worlds has been celebrating the best not-quite-a-holiday in Rift with the Autumn Harvest event. What’s being harvested? Souls! Well, I don’t know that for a fact, but it sounds appropriately Halloween-like. There are a slew of Halloween gifts, prizes and activities on offer until November 4th, so consider slapping a pumpkin on your noggin and taking a look. It’s free-to-play these days, so what’s the harm? After you’ve plastered your eyes all over this spooky trailer, take a gander at the list of events and goodies below. The Fae’s enchanted hideaway returns along with all the loot, artifacts, and other prized items they’ve “borrowed” from Telara. Portals across Mathosia will transport you to the Realm – and the spoils that await. 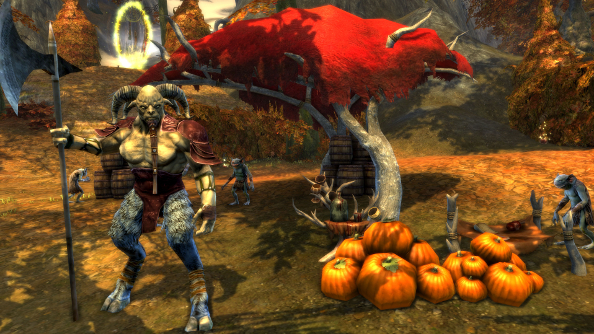 While battles still rage in the elemental planes, Autumn Harvest brings a limited-time Halloween-themed rift complete with pumpkins (of both the safe and dangerous varieties). The Monster Mash Black Garden Warfront is back, along with a 50% bonus to Prestige and 100% bonus to Favor, Notoriety, and XP from Oct. 17 – Nov. 4! Join the fight in Black Garden, where each team will morph into creatures befitting the month and duke it out with abilities both known and new. Stock up on Autumn Eyes reward potions to reveal invisible artifacts including some super-rare sets that are coveted among the community. 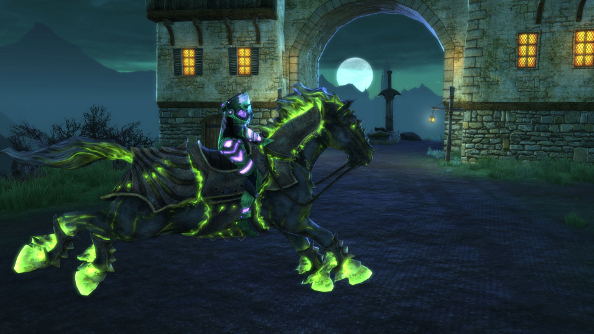 Earn special reward tokens (good for rare loot) for helping Atrophinius and the Fae, and yes: Spectral mounts are back!